It seems a long time ago now but it was a great week with fantastic weather. Even though a lot of time was spent going backwards and forwards to Bâtiland to try to organise shutters for the extension but with the same pentures and espagnolettes. That’s the hinges and bolts. It was great to be back in France in our French home and to catch up with my friends M & B and generally chill out from the hustle and bustle of normal working life and school. And we finally got to see the crèpi in the flesh. Very pleased. The building work is now nearly complete. Just the covered area and the shutters to go. There was quite a bit of digging to do as we brought a lot of cuttings to plant around the garden. Figs and Elderberry, together with two Eucalyptus trees that friends bought be for my birthday back in June. We must have 10 fig trees in the garden now. So I’ll be collecting fig recipes from now on. We took a couple of trips to Jardinerie Jay in Marmande to buy hedging plants and I also bought a Pomegranate tree courtesy of Lynda, who very kindly looked after Bella and Rose in the 🇬🇧 Had a lovely trip to Bordeaux on the Wednesday, just mooching about in the warm October sun. Weather glorious, it was 25 degrees on the Thursday. Thursday pm went to see the joiner who is due to build our covered area. He lives in a lovely old former water mill. Very interesting property. We a couple of lovely bike rides around our local villages. Friday evening we were invited to where our neighbour will be living when we return at Easter. She’s finally sold her house and is moving in with her partner. His house is lovely and I can see them making it into a wonderful family home. They have big plans to extend into the grenier to make more bedrooms to accommodate her two boys. We left with some trepidation or I certainly did as we were told that our French neighbour had been burgled. After her gold apparently. And, now that our closest neighbour has sold to a couple who are going to run the place as a holiday business I fear that the area will be quiet for the winter months. Such a shame as her house next to ours is a lovely family home. Maybe one day it will be lived in all year round again. C’est la vie. En fin, looking forward à pâques already. Oh, M has purchased this gorgeous little jalopy, Angélique. Hoping I’ll get a ride in her sometime next year. I think this was the most difficult 18 hour drive to France that we’ve had. Both of us felt tired before we set off. I’ve just had my third cortisone injection into my shoulder and P has been busy at work as usual. Oh yes, and it’s Cs GCSE year. Oh yes, and also our relationship with the builder of our extension has completely broken down. Not had a response from him as to meeting us at Easter. Aarrrghh we had a morning of emptying the Fekafos by hand. 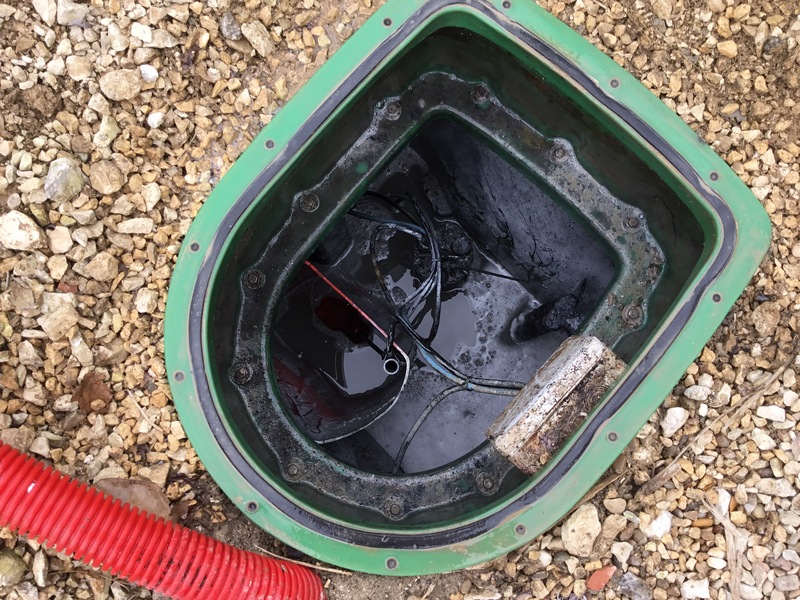 The fuse had been switched off and so it had flooded and the electric pump had shorted. 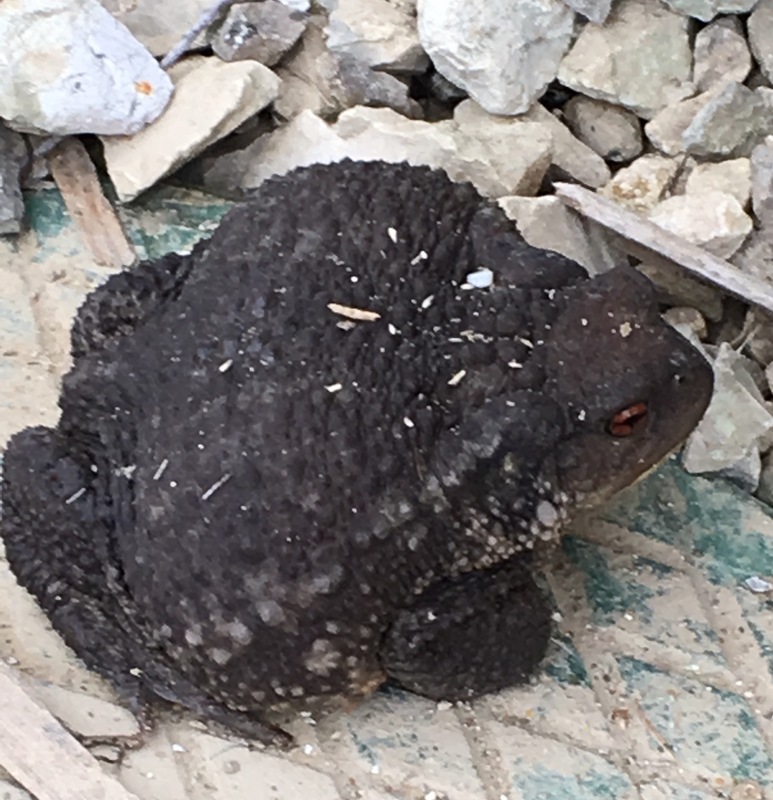 Met toad. Then we spent time tidying up builder mess and replacing 🔐. My son was all set to tackle the very over grown garden but we couldn’t get the mower to start. So that’s a job for demain. Weather permitting it’s a vide tomorrow. 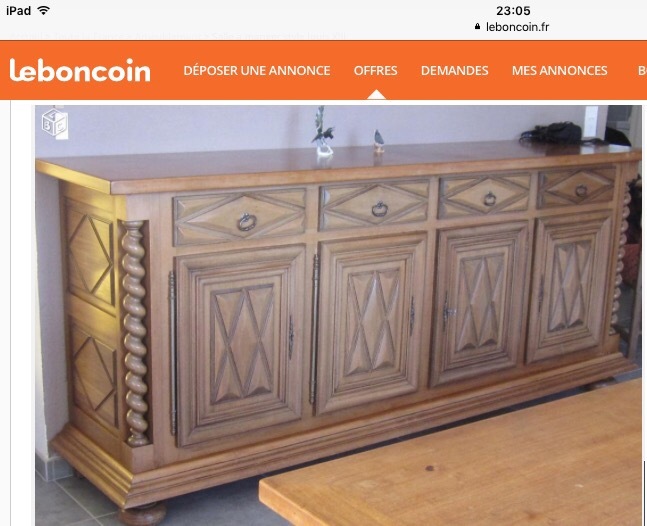 I’ve seen a lovely buffet and table on Leboncoin but don’t seem to able to get in touch with the owners. Not sure exactly how this site works. Is it similar to eBay? Do you need to pay before you see the item? Will see my fig trees soon. Can’t wait. Always interested in articles about figs. This is really interesting and about the wonderful health benefits of drinking fig leaf tea. Everyone knows about figs being great tasting and having many health benefits but did you know that Fig Leaves have health benefits? It’s true, fig leaves can enhance your life in great ways. Fig Leaves can be made into a tea that’s great for lowering blood glucose and thus anyone who is diabetic can use far less insulin. 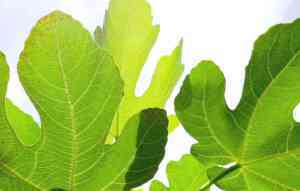 Diabetics should drink Fig Leaf tea first thing in the morning for day long change in their blood glucose. And the tea is great tasting… and smells a little bit like coconut perhaps some nutmeg and cinnamon there too. Fig Leaf Tea can be used for treating bronchitis and asthma, and eating fig leaves is a great way to cure gastric ulcers and help with indigestion and other GI complaints. In fact chewing up and swallowing 2 fig leaves per day can help with ulcers. Well I’ve made it through January. I really don’t like the first month of the year. My beloved mum passed away in January, it’s cold, wet, dreary (not always, I know) and I usually catch a bad cold or the flu. But, I’m feeling like I’ve ducked a bullet this year. It’s February 1st and I’ve made it. Last year I was convinced that I had a case of SAD (Seasonal Affective Disorder) . I purchased Echinacea and vitamin D but still caught a really awful virus that put me in the doldrums until the Easter holidays. Then I ended up with a shoulder injury. A rotator cuff injury according to a physio friend. Ended up seeing a consultant and getting a cortisone injection. It worked for about 3 months and then I had a go at some Pilates and it was worse than ever the next day. Back to the consultant again and another cortisone injection later it was much better once again and lasted for a while, but I am having twinges again now. The consultant insists that I will definitely need to have an arthroscopy where he will clean out the joint. I’ve had some lovely messages from you all out in blog land. Thank you so, so much. It’s really comforting to read your supportive comments. 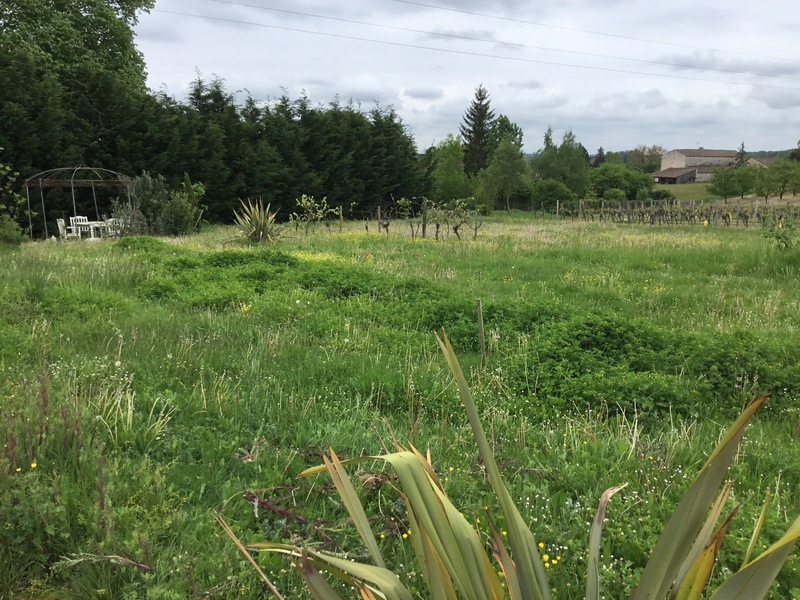 We feel quite helpless at the moment about the French house as we are not there and wont make it back to France until Easter, which is just over 9 weeks away. In the meantime what can we do? We are at the mercy of our builder, who may, or may not complete the inside of our extension, which was due to be completed by December 2015. We were planning on taking a trip somewhere different this summer but these plans have changed as we want to try to organise the completion of the extension now, together with painting and purchase of some extra bits of furniture. It’s all very frustrating but I’m feeling February positive at the moment and just thinking positively about what it will all look like in the end, when it’s finally completed. The main thing to cling to is that we always have a fantastic time as a family in France. I’m going to have to break off from writing this as Bella (our cocker spaniel) needs a poo and I have some marking for school to do. Bella pooed and marking done, I’m back. When the two extra rooms are finally finished, we will have a salon facing the garden and our own chambre with toilet and shower off it. I don’t want to make any rush decisions about new furniture. We did that when we first bought the house. Mainly because we had to, in order to be able to have a holiday there. I’d like to purchase old furniture that I can paint, or not, as the case may be. I want a much more authentic look. I certainly don’t want a modern French look, where it’s all bright colours and leatherette. Horror. I envisage a lovely old armour and sideboard. 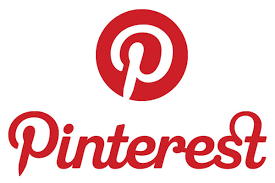 I’ve collected lots and lots of images on Pinterest. I’d also like a metal bed but whilst waiting to find the perfect bed, we’ll probably purchase the Fyresdal day bed from Ikea. If we are unable to get on with the house this summer then I will focus my energies on the garden. I’m really excited to see if the Willow tunnel that I planted last year has taken. But what I really want to see again, is those beautiful blue skies. Oh and of course my baby fig trees. Having real trouble with our builder in France. Seems like we’ve become another casualty of the British builder abroad. Haven’t felt like blogging for ages so thought I’d look through some of our French photos from the last few years and post some to make myself feel better. Just looking at all that sunshine has raised my spirits. Our building project is now into its second year and I’m not confident that it will be completed by the end of 2017. It’s been a tough old half term for all sorts of reasons, so we were all looking forward to this half term trip to France. It has the effect of re-charging our batteries for some reason, even when it’s an 18 hour, non stop, journey on a friday evening. And these were the first few sights early morning after we came off the N10 at Angoulême on our journey south. A sky crisscrossed with plane trails and this ethereal, spooky mist hovering above the fields. And as the sun came up, this gorgeous dappled fig tree leaf on the turn. And when we arrived at the house there was a very neat hole in the wall. We were very pleased. It might have taken just under a year but, hey who’s counting.